Mix the halloumi, oil and herb mix in a bowl, cover and marinate for approx. 30 mins. Place the vegetables, oil, salt and pepper in a bowl, mix well. Spread the vegetables onto the prepared baking tray. Approx. 20 mins. in the centre of an oven preheated to 200°C. 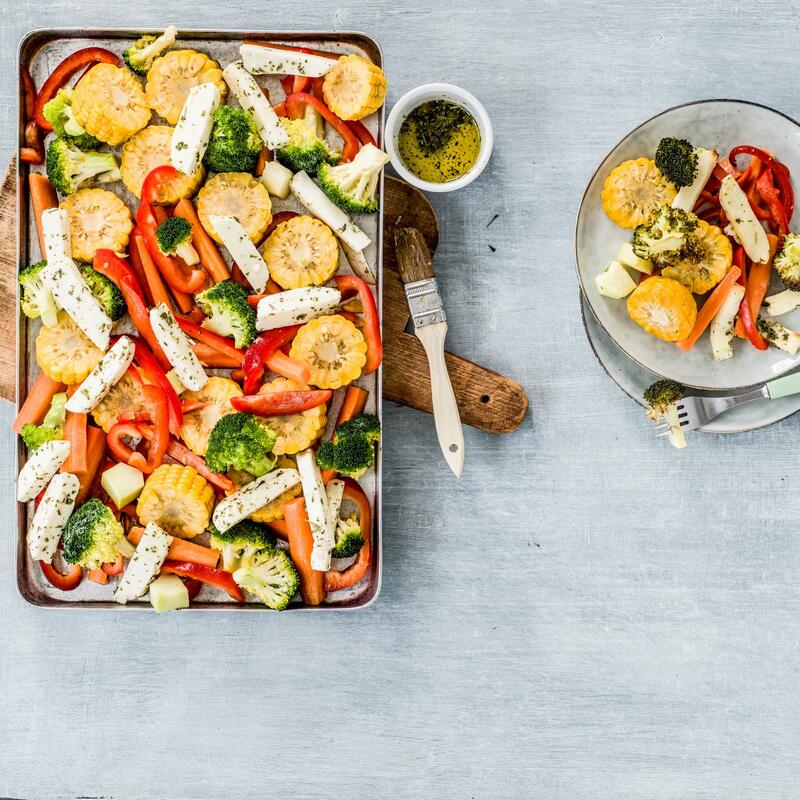 Place the halloumi on top of the vegetables, cook for a further 10 mins., serve immediately. Combine the yoghurt with the herb mix, salt and pepper, drizzle the dressing over the vegetables and halloumi.